We have looked at the choice of beehives – the Langstroth, the Warre, the Top Bar and even the Flow Hive. We checked out smokers. Then we looked at feeders. Before we look at your options for protective clothing, we have a few odds-and-ends to cover. These are the other tools a beekeeper might need, ranging from the you’d-be-silly-not-to all the way to the if-you-must! In other words, from items that are strongly recommended to those that are there just to make your life easier, but certainly not required. This is one of the more essential tools. It’s a general purpose but simple tool you will use in all manner of ways around your beehive. The hive tool is designed to offer leverage and and the ability to pry things apart, like two frames stuck together with propolis. 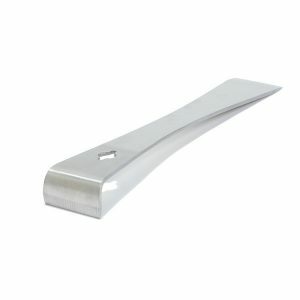 The common hive tool design is well-established and is simply a strong piece of metal that can pry and push components apart. A number of variations exist on this theme and hive tools are also available with a holster to reduce the chance of it being misplaced. The frame grip is very helpful for pulling out frames, especially those that are more heavy or have been well-and-truly glued into place with propolis. A frame grip should be used gently but strongly, with no jarring motions. Generally, the propolis will gradually start to give and eventually release the frame. The frame grip is a simple tool, with a spring-loaded grip. 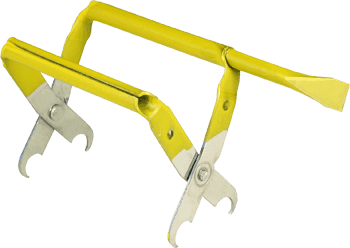 Some designs integrate a hive tool with the frame grip, on the basis that one tool is better than two. 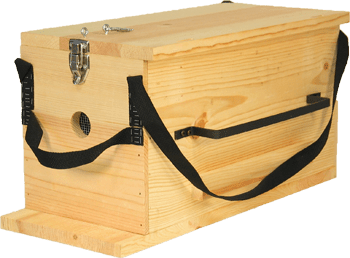 An entrance reducer is a hive accessory often used when bees are introduced into a new hive. The colony will not yet be well-established and therefore not well prepared to defend the hive, if it is attacked by robbers. The entrance reducer blocks parts of the entrance of the hive, leaving the young colony with a smaller gap to defend if it is attacked. 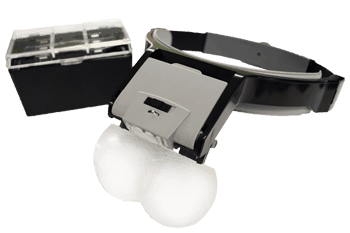 Generally, entrance reducers will have the option to be used such that varying degrees of opening are available. This allows the beekeeper to start with a smaller gap then expand it over time, before completely removing the entrance reducer when the bees are able to fend for themselves. If you have a Langstroth you really need a hive stand. Just getting your hive off the ground limits the chance of damp, makes it harder for pests to get to the hive and raises the beehive to a height that is easier on your back. On what should i set my hive? Thankfully, a hive stand can be a simple homemade contraption. 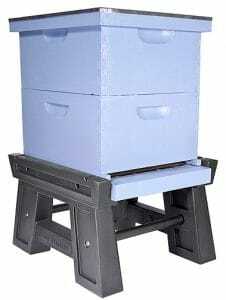 Many beekeepers use concrete blocks but the stand can really can be anything that won’t rot! There are many available, from metal hive stands to the Ultimate Hive Stand, which incorporates other features like a frame holder to help with inspections. These are not necessary but do make for a more functional and attractive location for your hive. Some beekeepers use these and some don’t. It’s certainly not a requirement. 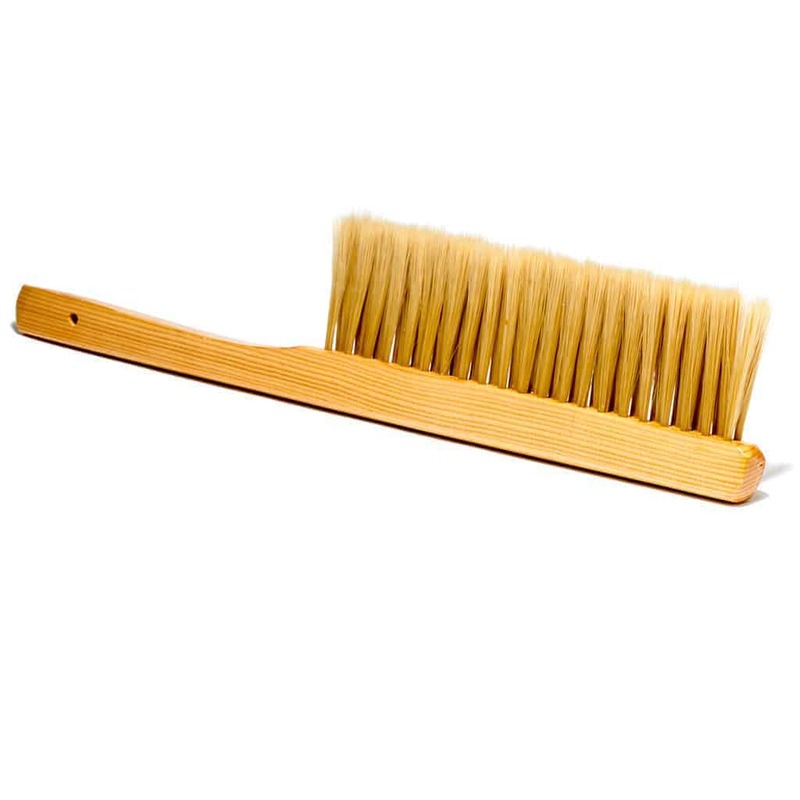 The bee brush is a simple brush, which is very soft and intended (wait for it…) to allow the beekeeper to gentle brush bees away from an area in which work is being done. Bee brushes work fine and can save a little time, while some beekeepers value the extra finesse of gently pushing bees aside with their glove. You may see a trend here – many of the tools you use as a beekeeper provide you with options from homemade to purpose-built solutions. The toolbox is no different. A simple $15 gardeners toolkit will often do the job just fine, containing your hive tool, bee brush, frame gripper and more in one simple box. Once again, the choice is yours and can be suited to your preferences and budget. Lots of fascinating things happen in a beehive! One of the more satisfying things to see are eggs that have been recently laid, providing you with evidence that the queen is alive, well and doing her thing! Indeed, locating eggs is an essential part of the hive inspection. However, their size makes them difficult to see, sometimes even for those of us with excellent eyesight. Why use a magnifying glass? The eggs are tiny – smaller than a grain of rice and not the easiest things to see. Having an extra box available for your hive is always good. A common use is to surround a hive top feeder, protecting it from robbers and the elements. But, beyond that, there’s always the chance your bees will surprise you with their productivity. At that time, as they grow out of the boxes you initially installed, you really want to provide them with an option to expand – and not swarm. Having the extra box around is peace of mind, for that situation. When you prepare your boxes – including the extra box mentioned above – you will want to have them ready for your bees. For a pine box that will generally mean a primer and some paint, to add longevity to the box. For cedar beehives, tung oil is not essential but does add some protection, as well as looking and smelling quite wonderful. There is some controversy over whether a queen excluder is necessary. As the name implies, the queen excluder ensures the queen cannot reach boxes above the box on which is it placed. This means that the boxes above it are “brood free”, helping create supposedly more pure honey boxes. We have mentioned a few times how beekeeping is a delight for those who like a good debate! Here’s an example opinion, about the use of queen excluders. For the record… we kind of agree! When you want to harvest honey, you will find your bees get in the way! Taking a box of honey off with a view to harvesting honey can be a challenge when your bees just see it as part of their home. By the way, as you try to remove them they might also get a little angry! So how do you remove the bees? There must be a better way. This is a good time to consider bee escape and a little time. The idea is both neat and simple. You effectively place a one-way highway between the box from which you wish to harvest honey and the one below. The bee escape allows bees to travel FROM the honey box, but not TO it. Install this simple device, wait a day or two and when you next check you should find very few bees with your precious honey. And it can be rather fascinating to see all this in action! Note: If you have a hive in its first year, please think carefully about taking a lot so honey. Let the bees establish themselves and have as much honey as they need to get through the winter. In Year 2 you can potentially enjoy tastier breakfasts! Yes, you will eventually need some equipment to harvest your honey. There are many options available, from cheap and simple all the way to highly expensive, electrically driven productions! One more quick tip. Record your beekeeping! This is particularly important on that first day, for example as you install your package of bees in their new home. There’s only one “first hive” and it’s a special moment. So ask family member or neighbor to record the action. Let them make call on how long a zoom they will need, but do record “your moment”. I am sorry I haven’t really posted anything yet. However the information you have shared is absolutely incredible. I can’t wait to get started, the bee World is so fascinating.